After three days of blue skies and bright sunlight, we finally experienced the grey and windy side of Antarctica (or technically, we were back in the south Shetland Islands). 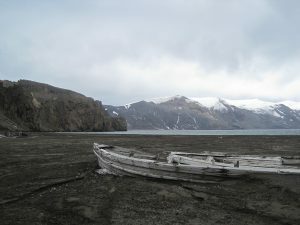 The weather changed which prevented us from doing some excursions to Hanna Pt on Livingston Island or Bailey Head on Deception Island, so we had to contend ourselves with visiting Telefon Bay and Whaler’s Bay in Deception Island. It was snowing and windy, but the volcanic island (still active, the last eruption was in the 1990s) provided a change of scenery, being less ice-locked than most of the recent islands. Here, the red-brown-black volcanic rocks were more reminiscent of Mauna Kea (Hawaii) and Isabela Islands (Galapagos). The remains of the old Norwegian & British Whaling station were fascinating to walk around. They are not being actively preserved, but are protected and allowed to decay per the elements. 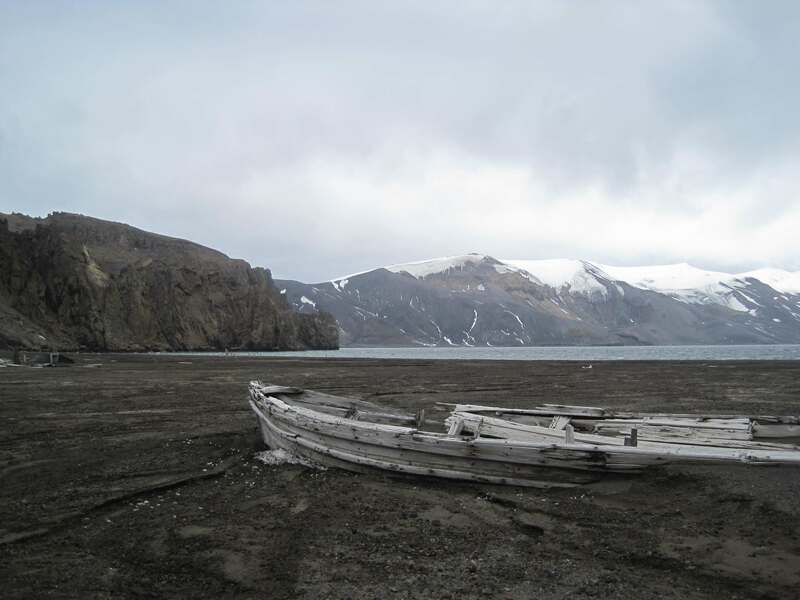 It was hard to imagine how hard life was for those whalers, living and working in a harsh climate, surrounded by decaying whale flesh, as the whales were processed for their blubber, oil and bones to bring back to the old world. Now the island has reverted back to being a desolate, bleak, place of natural beauty.